It’s another first for the diocese in July, as Bishop Nick, unlike any other bishop before him, is enthroned three times, once in each of the three cathedrals of the diocese. The enthronements take place at Wakefield (left) on Tuesday July 15th at 6pm, Bradford** on Thursday July 17th at 7pm and Ripon and Sunday July 20th at 3pm and invitations have been sent out. Each service will have a different character reflecting the diversity of the new diocese. 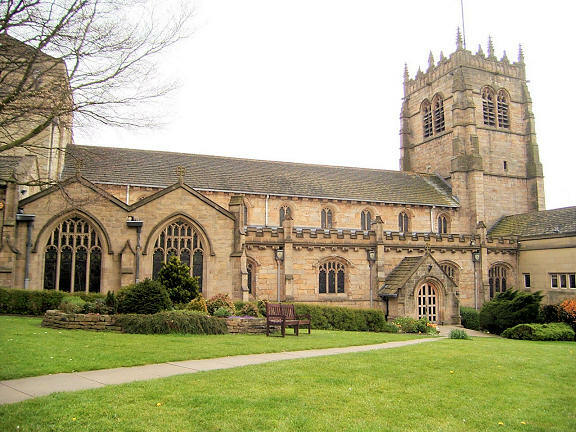 In Wakefield the first part of the Enthronement service will be inside with most people standing to enable as many as possible to take part, before the service moves outside to seating in the Cathedral precinct. The congregation at Bradford (left) will include community and faith leaders from across the area as well as the Lord Mayor and council leaders **. And in Ripon (below) the Bishops of Kurunagula and Colombo will be attending, marking the Sri Lanka link, Bishop Nick will take his oaths on the Ripon Bible, dated 1260, and the historic Ripon Horn will be blown by the city’s Hornblower as Bishop Nick takes his seat or ‘cathedra’. During the week of his enthronements, Bishop Nick will also have the opportunity to meet and pray with people in the Huddersfield and Leeds Episcopal Areas. He’ll be at Halifax Minster on Wednesday 16 July, 7.30pm and at Leeds Minster on Friday 18 July, 7pm. On both occasions he’ll also be welcomed by civic dignitaries and others. **Enthronement at Bradford Applications are invited for tickets to the Enthronement of Bishop Nick in Bradford Cathedral at 7.00pm on Thursday 17th July. Please email sandra.heaton [at] bradfordcathedral.org or call the Cathedral Office on 01274 777720 with your name and full postal address. Tickets will be posted out early July. Applications are limited to two per address and will be allocated on a first come first served basis.